3. “Unless those listening to the message understand the Bible in general, they won’t grasp the gospel. The more we understand the whole corpus of biblical doctrine, the more will understand the gospel itself—and the more we understand the gospel, the more we will come to see that this is, in the end, what the Bible is really about” (Keller, Center Church, p. 32). 4. “If an element of ministry is not recognized as a result of the gospel, it may be mistaken for the gospel and eventually supplant the gospel in the church’s preaching and teaching” (p. 37). 5. “The Bible doesn’t give one standard gospel outline” (p. 39). 6. “The gospel is not just the ABCs but the A to Z of the Christian life. It is inaccurate to think the gospel is what saves non-Christians, and then Christians mature by trying hard to live according to biblical principles. It is more accurate to say that we are saved by believing the gospel, and then we are transformed by in every part or our minds, hearts, and lives by believing the gospel more and more deeply as life goes on (see Rom. 12:1-2; Phil 1:6; 3:13-14)” (p. 48). 7. “Without the gospel, our self-image is based on living up to some standards—either our own or someone else’s imposed on us. If we live up to those standards, we will be confident but not humble; if we don’t live up to them, we will be humble but not confident. Only in the gospel can we be both enormously bold and utterly sensitive and humble, for we are simul Justus et peccator, both perfect and sinner!” (p. 50). 8. “Most of our problems in life come from a lack of proper orientation to the gospel. Pathologies in the church and sinful patterns in our individual lives ultimately stem from a failure to think through the deep implications of the gospel and to grasp and believe the gospel through and through. Put positively, the gospel transforms our hearts and our thinking and changes our approaches to absolutely everything. When the gospel is expounded and applied in its fullness in any church, that church will look unique. People will find in it an attractive, electrifying balance of moral conviction and compassion” (p. 51). 9. “It is possible to get an ‘A’ grade on a doctrinal test and describe accurately the doctrines of our salvation, yet be blind to their true implications and power” (p. 74). 10. “The great task is to express the gospel message to a new culture in a way that avoids making the message unnecessarily alien to that culture, yet without removing or obscuring the scandal and offense of biblical truth. 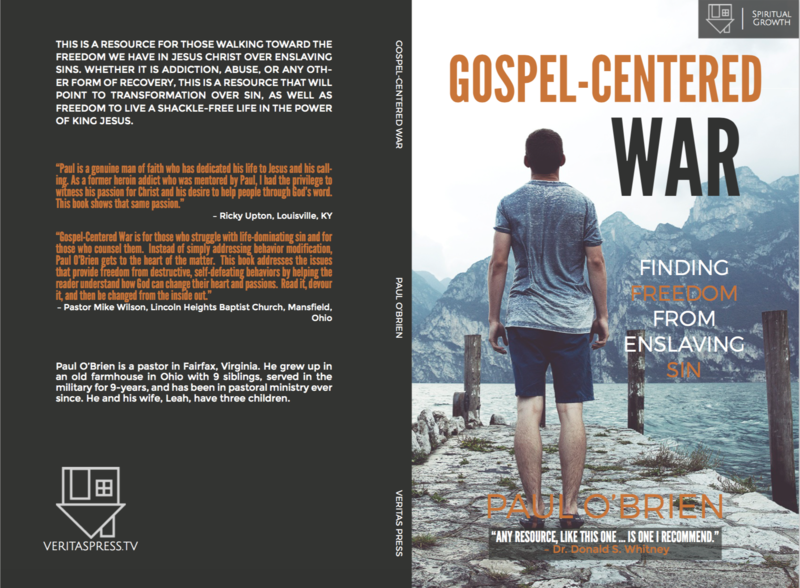 A contextualized gospel is marked by clarity and attractiveness, and yet it still challenges sinners’ self-sufficiency and calls them to repentance” (p. 89). 11. “All gospel ministry and communication are already heavily adapted to a particular culture. So it is important to do contextualization consciously” (p. 96). 12. “A coherent and biblical understanding of the gospel (Christians are saved but sinners); of the image of God (people are lost but indelibly reflect the nature of God); and of common grace (all people suppress the truth about God but they nonetheless ‘hear’ and ‘know’ it)—provides us with a nuanced understanding of culture. This gives us the basis of for contextualization” (p. 110). 13. “Paul’s approach to culture… is neither completely confrontational not totally affirming… He reveals the fatal contradictions and underlying idolatry within their cultures and then points them to the resolution that can only be found in Christ. This is the basic formula for contextualization” (p. 112). 14. “Religion (‘I obey—therefore I am accepted’) leads to pride if we are living up to standards, or to inferiority if we are failing to live up to standards. But the gospel (‘I am accepted through Christ—therefore I obey’) makes us both humble and confident at once” (p. 116). 15. “If we are too proudly rooted in any one culture (not enough gospel humility), we will be ridged and unable to adapt. Only the gospel gives us the balance we need” (p. 116). 16. “Engaging in active contextualization of the gospel message… involves a three-part process: entering the culture, challenging the culture, and appealing to the culture” (p. 116). 17. “Ultimately, the most important source for learning till be the hours and hours spent in close relationships with people, listening to them carefully” (p. 121). 18. “Approximately 32 percent of Americans in the Millennial generation live in cities—and 88 percent want to” (p. 158). 19. “It is critical that we have Christians and churches wherever there are people, but the people of world are now moving into the great cities of the world many times faster than the church is” (p. 158). 20. “If Christians want to reach the unreached, we must go to the cities. To reach the rising generation, we must go to the cities. To have any impact for Christ on the creation of culture, we must go to the cities. To serve the poor, we must go to the cities” (p. 162). 21. “While secularism tends to make people individualistic, and traditional religiosity tends to make people tribal, the gospel should destroy the natural selfishness of the human heart and lead Christians to sacrificial service that benefits the whole city” (p. 172). 22. “It is important for churches that rent space to own their neighborhood. Church leaders should therefore be intentional about inhabiting their neighborhood. They should go to local community boards and neighborhood association meetings, as well as contact local government officials and representatives to discover how they can best serve the needs of the neighborhood” (p. 176). 23. “A church that is educating and discipling people to do justice in the public sphere will have to be sensitive to social issues and ills in its teaching and preaching, and yet it will not make the fatal mistake of becoming a lobbying group and losing sight of its main mission” (p. 241). 24. “Our goal as Christians and Christian ministers is never simply to build our own tribe. Instead, we seek the peace and prosperity of the city or community in which we are placed, through a gospel movement led by the Holy Spirit. Movements like these do not follow a ‘bounded-set’ approach in which you only work with others who can sign off on nearly all your distinctive beliefs and practices. Rather it follows a ‘centered-set’ orientation in which you work most closely with those who face with you toward the center. That center is a classic, orthodox understanding of the gospel of Jesus Christ, a common mission to reach and serve your city, and a commitment to have a generous, Christ-focused posture toward people who disagree with you. It’s a type of movement that is missional, integrative, and dynamic” (p. 250). 25. “Missional churches must seek to intentionally avoid tribal jargon, stylized and archaic language for prayer and worship, ‘we/they’ language, disdainful jokes that mock people who hold different political and religious beliefs, and dismissive or disrespectful comments about those who differ with them” (p. 273). 1. The church must confront society’s idols. 2. The church must contextualize skillfully and communicate in the vernacular. 3. The church must equip people in mission in every area of their lives. 4. The church must be a counterculture for the common good. 5. The church must itself be contextualized and should expect nonbelievers, inquirers, and seekers to be involved in most aspects of the church’s life and ministry. 6. The church must practice unity. 27. On pages 283-84 Keller gives some helpful ways to engage with neighbors, coworkers, and friends. 28. “No amount of brilliance or overpowering reason will serve to bring someone to faith. Therefore, we don’t have to worry about our lack of knowledge. It is God’s grace that opens hearts, not our eloquence” (p. 287). 29. “The gospel creates community. Because it points us to the One who died for his enemies, it creates relationships of service rather than selfishness. Because it removes both fear and pride, people get along inside the church who could never get along outside” (p. 311). 30. “Growth in grace, wisdom, and character does not happen primarily in classes and instruction, through large worship gatherings, or even in solitude. Most often, growth happens through deep relationships and in communities where the implications of the gospel are worked out cognitively and worked in practically” (p. 311). 31. “When we experience Christ’s radical grace through repentance and faith, it becomes the foundational event of our lives. Now, when we meet someone from a different culture, race, or social class who has received the same grace, we see someone who has been through the same life-and-death experience” (p. 319). 32. “The normal ministry of Paul had three phases that are easily seen in Acts 14. First is evangelism… Second… [is] incorporation into community… [Third is] leadership development” (p. 355). 33. “The multiplication of churches is as natural in the book of Acts as the multiplication of individual converts” (p, 356). 34. “Paul was continually engaged in evangelism, discipleship, and church planting” (p, 357). 35. “Young adults have always been disproportionately located in newer congregations” (p. 361).